Product code: 1514 Categories: Sold Items, Sold Rings. Mizpah jewellery is so special and unique, and has a history that goes as far back as the bible. 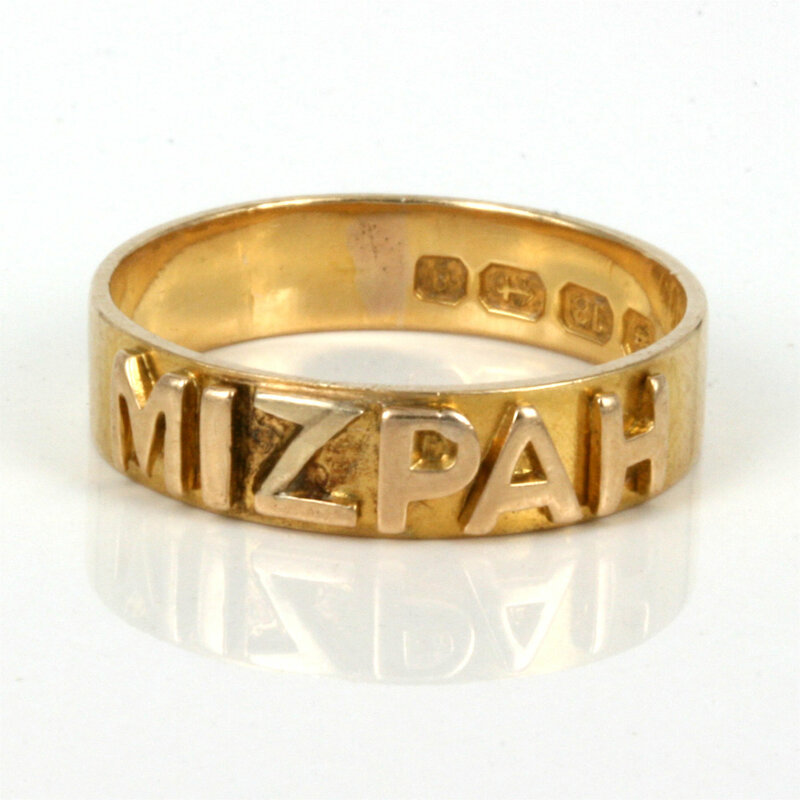 This antique Mizpah ring was made in Birmingham 1875, and is in 18ct yellow gold and looks so wonderful on the finger. If you have been after a genuine antique Mizpah ring, or after a ring that is just that little bit more unique and special, then this Mizpah ring might just be the one. Click here to read our article on the meaning and history of Mizpah jewellery.